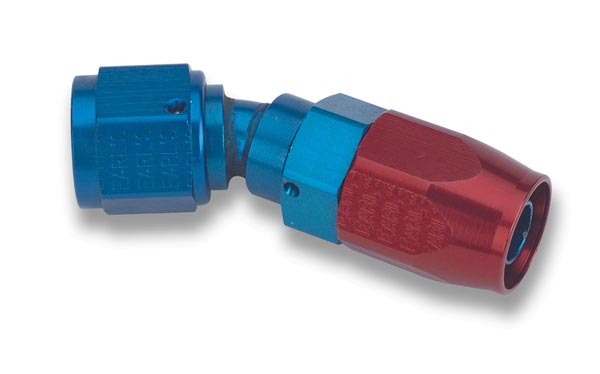 Earl's Swivel Seal & XRP Triple Seal are the unmatched adjustable hose ends in the world. Intended to be used with Perform-o-Flex, Pro Lite, Auto Flex or XR 31 hose. 100011 -12 Straight Swivel Hose End. -12 Hose To -10 Nut. Aluminum. 100013 -12 Straight Swivel Hose End. -12 Hose To -16 Nut. Aluminum. 203086BB -8 30 Deg. Double Swivel Hose End. -8 Hose To -6 Nut. Aluminum. Black Bright Dip Anodized. 203081 -8 30 Deg. Double Swivel Hose End. -8 Hose To -10 Nut. Aluminum. 203017 -16 30 Deg. Double Swivel Hose End. -16 Hose To -12 Nut. Aluminum. 204568 -6 45 Deg. 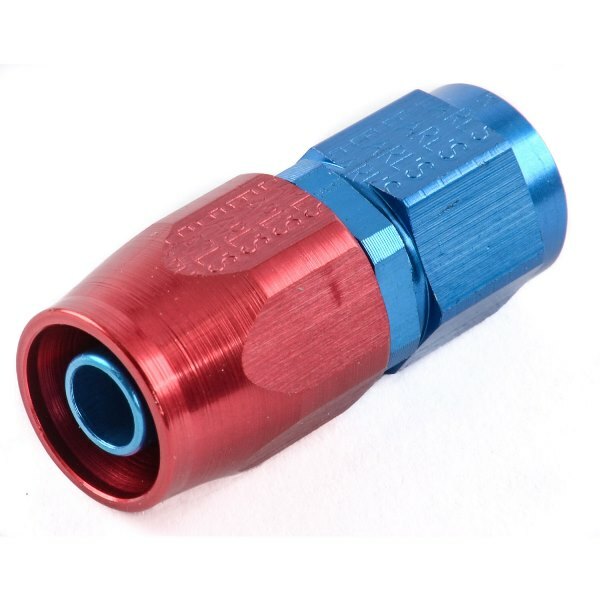 Double Swivel Hose End, -6 Hose to -8 Nut, Aluminum. 204586 -8 45 Deg. Double Swivel Hose End, -8 Hose to -6 Nut, Aluminum. 204581 -8 45 Deg. Double Swivel Hose End, -8 Hose to -10 Nut, Aluminum. 204507BB -10 45 Deg. Double Swivel Hose End, -16 Hose to -12 Nut, Aluminum. Black Bright Dip Anodized. 204509BB -10 45 Deg. Double Swivel Hose End, -16 Hose to -12 Nut, Aluminum. Black Bright Dip Anodized. 204511BB -12 45 Deg. Double Swivel Hose End, -16 Hose to -12 Nut, Aluminum. Black Bright Dip Anodized. 204513 -12 45 Deg. Double Swivel Hose End, -12 Hose to -16 Nut, Aluminum. 204517BB -16 45 Deg. Double Swivel Hose End, -16 Hose to -12 Nut, Aluminum. Black Bright Dip Anodized.